Independent animator Eric Leiser has turned up in these pages a handful of times over the years, delighting fans of experimental animation with his fiercely independent work. Leiser's films blend live action photography and stop motion techniques in a way that tips the hat to the likes of Svankmajer while maintain a distinct vision all his own and if that sounds like an appealing prospect to you, well, he has just released a teaser to his latest feature film effort Apocalypsis (Theosis). Leiser's brother Jeffrey once again provides score and sound design with the pair seemingly accomplishing every job there is to do on a project like this between the pair of them. Take a look at the trailer below. 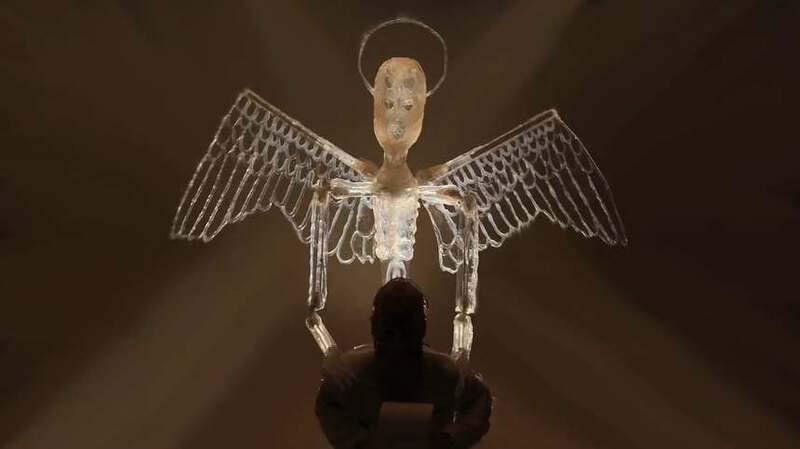 Apocalypsis (Theosis) Teaser Trailer from Eric Leiser on Vimeo.